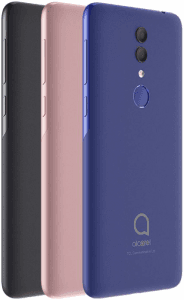 The 1X 2019, by Alcatel, powers its budget-tier specs with a 3000mAh battery, whereas some of its closest rivals stick to roughly 2500mAh cells only, while it comes with a 13- plus 2-megapixel dual camera that delivers bokeh shooting and post-shot refocusing. To wrap it up, it sticks to entry-level norms when it comes to hardware, running on a quad-core 1.5GHz processor alongside 2GB of RAM. Pros & Cons The 1X 2019 runs on a low-caliber 1.5GHz quad-core processor and a 2GB RAM, while offering a 13- plus 2-megapixel dual-lens main cam and a 3000mAh battery. Check out the rest of its cons and pros in this specs-driven analysis. (more) More Alcatel phones See all the most recent Alcatel phones.